In his opening plenary speech at OEB this year, Geoff Mulgan, Chief Executive of innovation charity Nesta, projected the image of a 1964 copy of German magazine Der Spiegel, which warned readers of the horrors of a future of automation. The image and its explanation were met with tentative ripples of laughter from the audience; a pretty accurate insight into the way that technology and its powers are viewed in the education sector in 2018. I say this because throughout the speeches, discussions, and workshops I attended during OEB’s three-day event, I encountered many enthusiastic, and indeed many worried, accounts of how technology is affecting education today. This contentious opinion is one which framed the various discussions happening at OEB very well. There were of course speakers and exhibitors that were looking to improve traditional classroom-based learning, and those that were interested either in employee upskilling, or in breaking the boundaries of traditional education and making it fully digital. One of the most pressing topics that appeared at OEB, in my opinion, was the provision being made across the world to provide education to people in marginalised communities. A breakout ‘boardroom dialogue’ on this issue took place in a small roundtable-style format, with an introductory presentation from Peter Balleis, Executive President of Jesuit Worldwide Learning (JWL). The dialogue covered topics such as providing education to those who may not be able to access traditional learning spaces, such as refugees, or people living in communities without steady (or any) internet access. Indeed this argument for diversity and collaboration in edtech is a strong one, not only at OEB. From smaller companies such as Norway’s No Isolation, to tech giants such as HP, a focus on bringing communities together is something which is at the forefront of education generally, and especially in harnessing the power of edtech. Another topical issue raised in the opening plenary, by Anita Schjøll Brede, CEO and Co-founder of edtech company Iris.AI, was the need for learning how to learn. This may sound patronising, but Anita made a convincing argument for the use of AI in distinguishing the wheat from the chaff in information resources. For instance, the internet has a vast range of scientific papers of varying quality and relevance to any particular project. Using an AI algorithm to search for certain key words means that much of the ‘grunt’ work currently done by scientists or their long-suffering interns can be reduced, providing more time for creative and in-depth projects that can only be done by humans. Using this kind of tool also helps students delineate between ‘good’ information, and ‘bad’ information; that is, sources that are reliable and relevant, and those that are not. This is just as much a part of learning as absorbing and understanding content. The concept that technology has the ability to aid human endeavours without overtaking them has been an argument of pro-techies for decades, and this message was loud and clear at OEB. The size of the event was also encouraging for the future and scope of edtech. 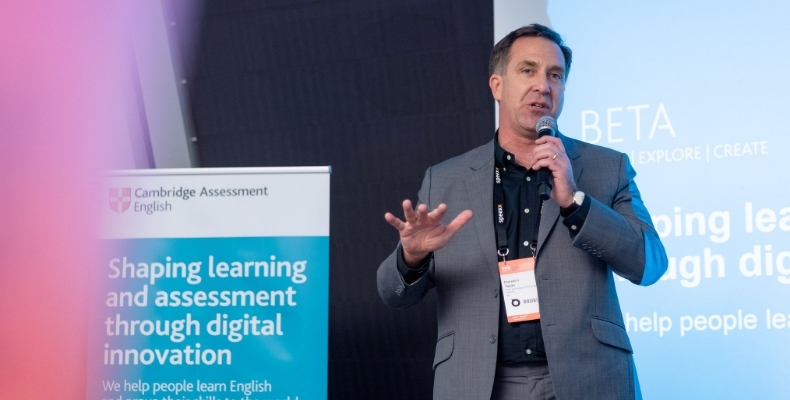 There were over 2,500 international learning professionals present representing 70 countries, and over 100 exhibitors, proving without a doubt that there is still both a need and a market for developing the use of technology in education. Indeed, one of the themes that stuck with me most from the whole event was the fact that edtech has come a long way in the past 20 years, but that we are nowhere near done with learning what it can do. 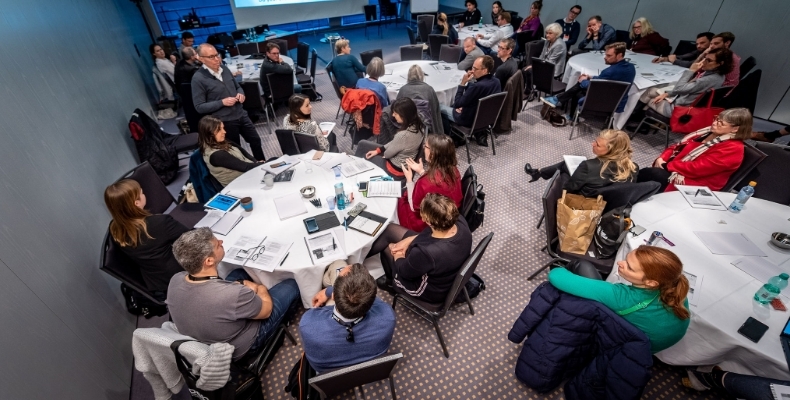 OEB has been delivering a space for discussion and collaboration in edtech for 24 years, and it remains a popular gathering place for delegates and providers across the world. I am intrigued to follow the development of this event, and to see how it impacts the education and technology sectors into 2019 and beyond. If nothing else, providing a space to bring education and tech professionals together in an organised environment provides the opportunity for sharing international best practice, and as we have learned: in education, collaboration can only be a good thing… especially when we’ve got tech on our side.